for audio, triggers and/or control voltage. Got Ripplemaker, loved it. Bought this, even better. And, they work great together. 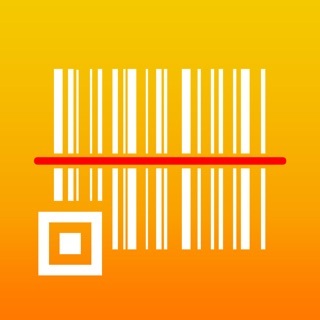 Ripplemaker is a fantastic app to get going, and is a great teaching tool for getting to ZMors. 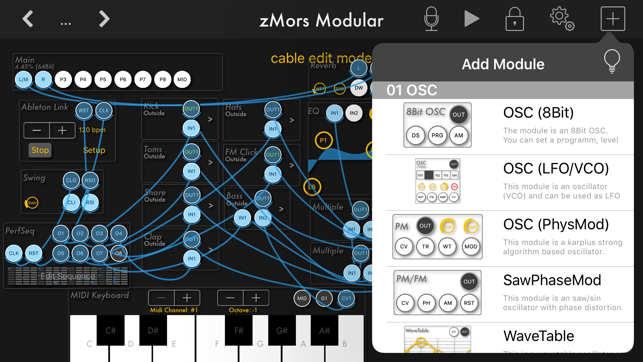 If you want to get into iOS modular, this is the app you need. Very impressive functionality and ease of use. 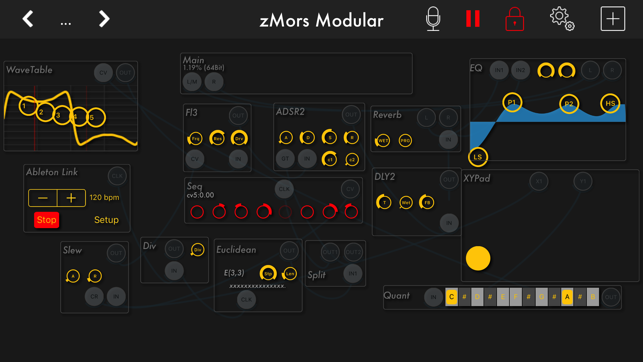 Amazing virtual modular synth with midi and ableton live. Just get it. We need to support crazy developers like this! This is really a fantastic piece of software. The sound quality is great, the potential for sound creation is enormous. You are just limited by your CPU and imagination. The modules seem to be optimized for good CPU efficiency while maintaining high sound quality. All the standard modules you would need seem to be here. In addition, there are quite a few cool and more esoteric modules to play with too. 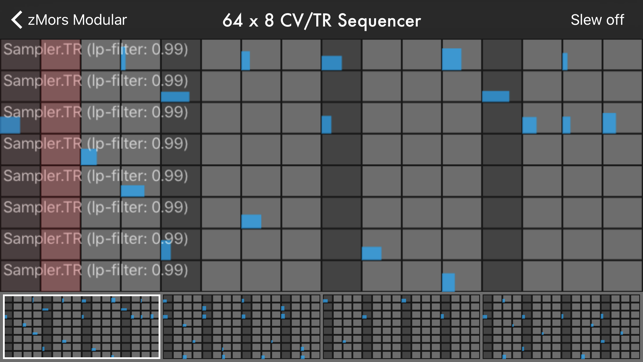 Plenty of connectivity with AU and IAA host modules, MIDI support, ability to host a PureData patch inside, as well as Ableton Link. The app has been very stable for me. 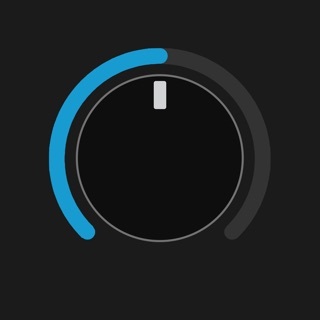 The interface is also great! 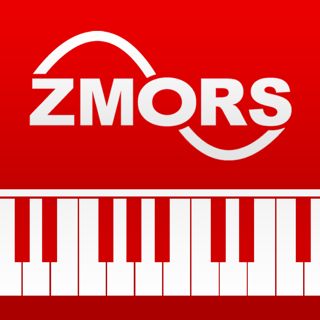 The touch-screen cable-patching paradigm has been well thought out in ZMORS so that the workflow remains fast and the screen can be kept organized and uncluttered. This inspires me to keep on creating, adding more modules, discover and learn new things. 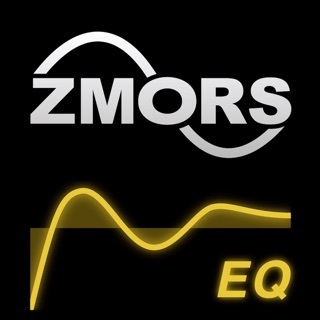 If you enjoy sonic explanation, and have a bit of experience with a modular synthesizer (or want to learn), ZMORS has much to offer. It is still being actively developed too, and has a roadmap. So it's going to get even better! I am really enjoying this masterfully-crafted app. Thank you!